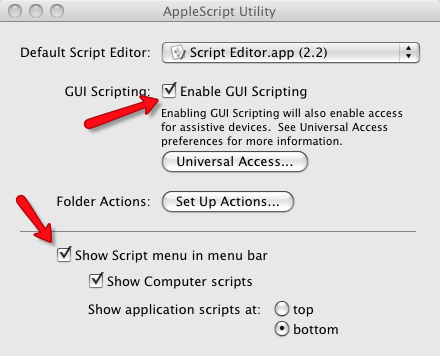 Apple Scripts Menu is installed if the Paper scroll icon is displayed in your menu bar. . If you don't already have the Apple script icon in your menu, then you should really install it. It provides lots of useful AppleScripts. This page was last modified on 14 May 2008, at 15:26.